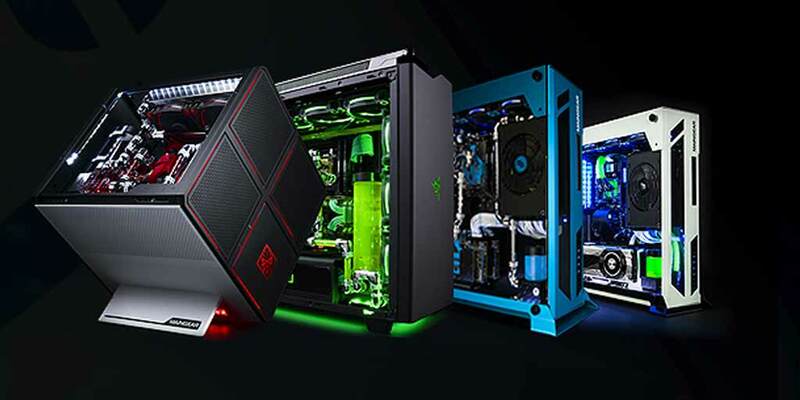 MAINGEAR x299 Gaming Desktops w/ Intel i9 7980XE 18 Core Processor | Nerd Much? Eventually, we’re wondering if we’re going to come to a point where PC power just won’t impress us anymore. After all, how much CPU oomph do we actually need? Well, Intel and MAINGEAR have set out to possibly find the answer to that with the introduction of the MAINGEAR x299 gaming desktops that feature Intel’s new 18 core i9 7980XE processors. MAINGEAR’s new line is designed for extreme performance, allowing you to play games like PlayerUnknown’s Battlegrounds or Overwatch in full 4K resolution, with no framerate loss, while also streaming gameplay on Twitch, Beam, or YouTube. The i9 7980XE features a Turbo Boost 2.0 clock of 4.2 GHz and processor speeds of up to 4.4 GHz when using Turbo Boost 3.0. The desktops contain up to 44 PCI Express Lanes for Maximum Expansion, and there are various options for liquid cooling and automotive paint finishes. So, not only will your desktop be the most powerful gaming desktop on the planet, it’ll also run cool and look cool. The i9 7980XE processors will be available in many different Maingear configurations and systems, including the VYBE, R1 | RAZER Edition, F131, RUSH, and the Omen X (the MAINGEAR and HP collaboration). The desktops will support four channel DDR4 2666 memory and Thunderbolt 3. Configurations for the MAINGEAR x299 desktops start at $1649, and you can check them out here. Also, if anyone wants to buy us something from Christmas, ahem. Stay tuned to Nerd Much? for more ridiculously cool stuff, and follow us on Twitter for timely updates.